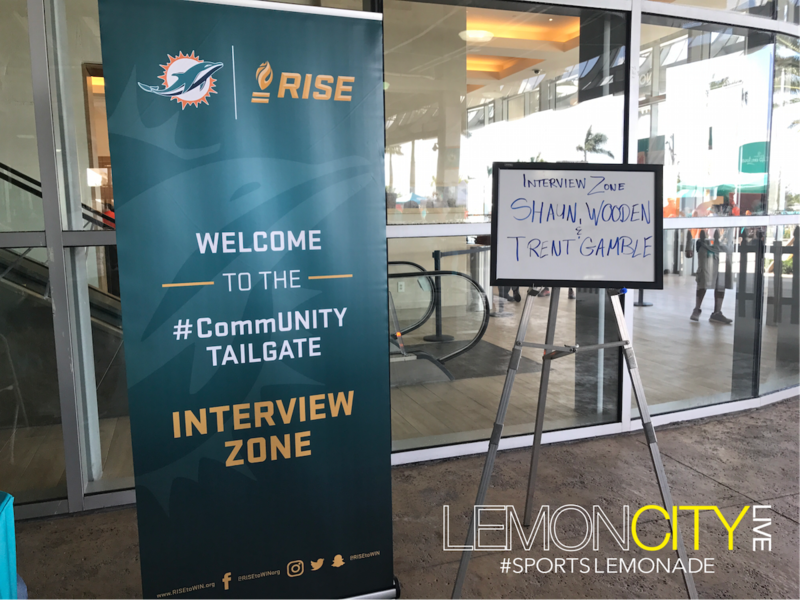 On Sunday, October 8th, the Miami Dolphins and the Ross Initiative in Sports for Equality (RISE) hosted the RISE #CommUNITYTailgate. 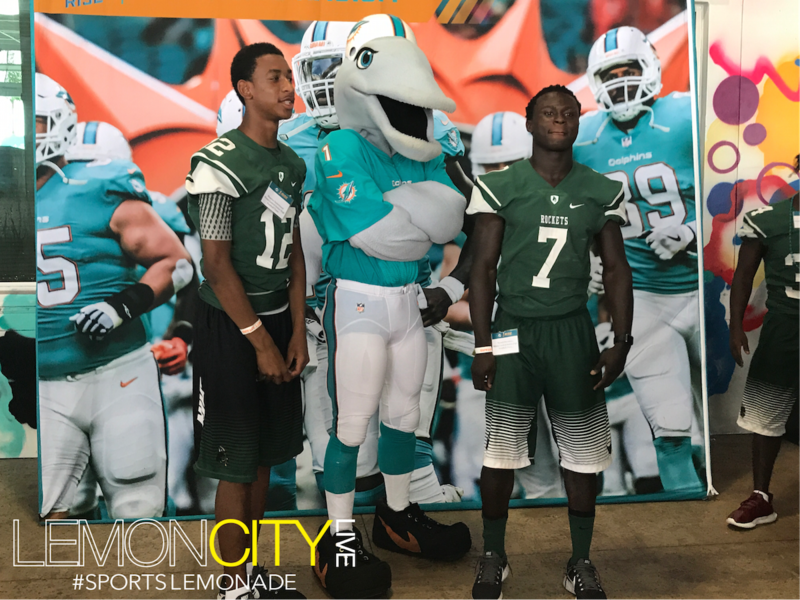 This week, the Dolphins invited the Miami Central High School football team. We had the chance to Interview former Miami Hurricane, and current Miami Central High School football coach, Roland Smith, and RISE CEO, Joselyn Benson. Both interviews are found below. The tailgate featured food, meet-n-greets with Miami Alumni, giveaways, but more importantly, a dance-off! Yes, I do have video of the coaches participating. All the kids seemed to have a great time. Good job by the Dolphins and RISE for giving back to the community that supports them every season. 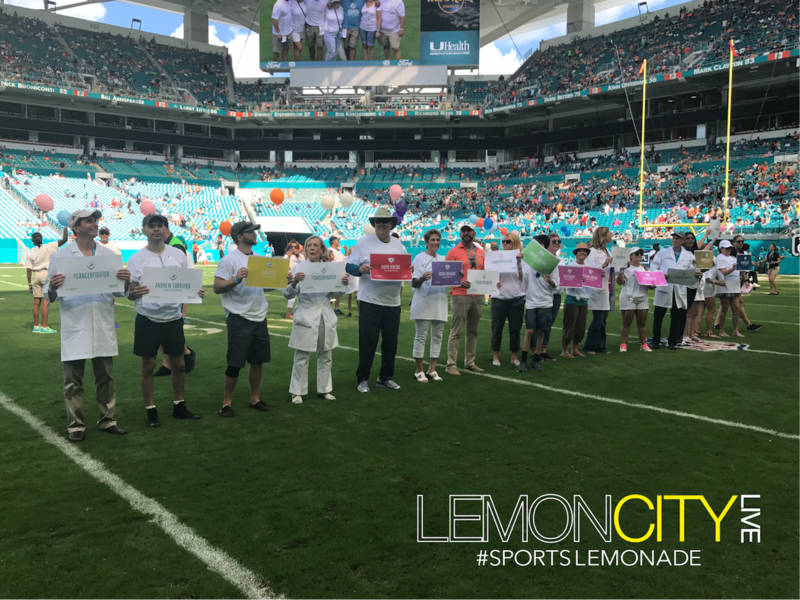 The tailgate was funded by Miami Dolphins players Ja’Wuan James, Byron Maxwell, Mike Pouncey, Ryan Tannehill, Kenny Stills and Ndamukong Suh with the goal of continuing dialogue between community members, leaders, youth, coaches and law enforcement and fostering relationships. The CommUNITY Tailgates came about from a town hall hosted last fall by the Dolphins and RISE. Players and local community leaders discussed steps that could be taken to address growing issues of racial inequality and unite our community. 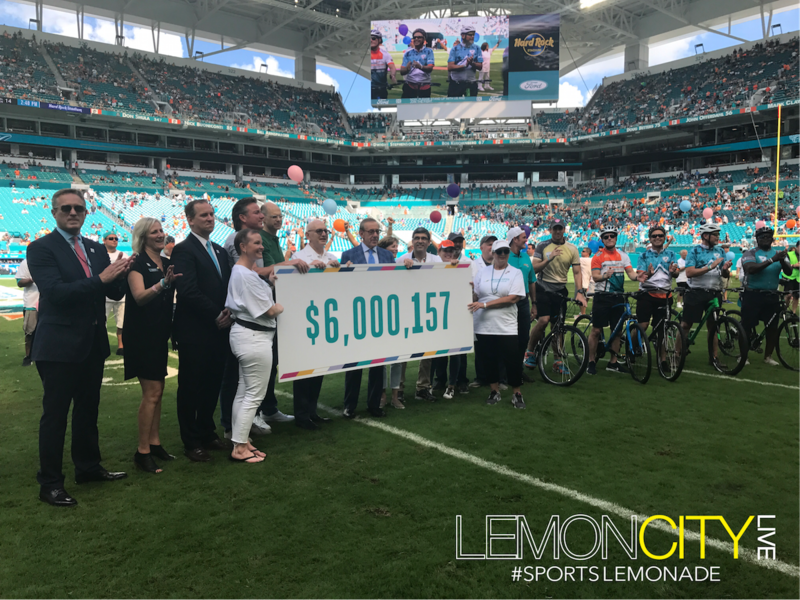 The Dolphins Cancer Challenge (DCC) was founded in 2010 by the Miami Dolphins organization as the signature initiative of the Foundation’s health pillar. The DCC’s mission is to improve people’s lives through financial support for innovative cancer research at South Florida’s only academic-based cancer center – Sylvester Comprehensive Cancer Center at the University of Miami. Since its inception, the DCC has raised more than $22.5 million, donating 100 percent of participant-raised funds to Sylvester. For additional information, call (305) 943-6799 or visit www.DolphinsCancerChallenge.com. DCC can be found on Facebook at facebook.com/RideDCC and on Twitter at @TackleCancer.